I didn't post yesterday as it was my day to work at the Textile Emporium store. However, the photo is one I took yesterday morning while walking Tilly in the public gardens. 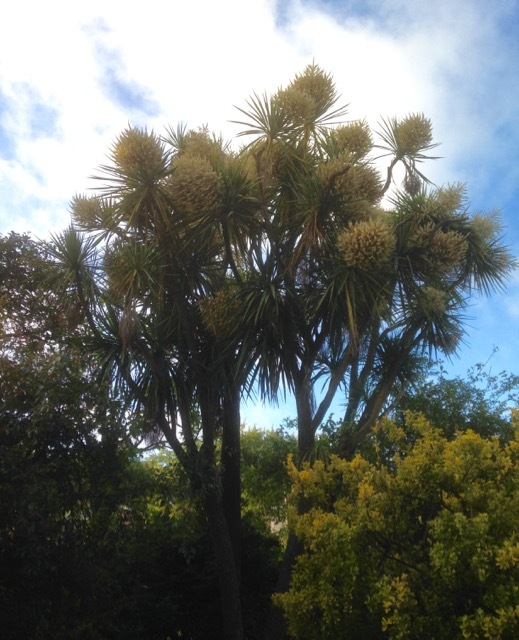 The cabbage trees (Cordyline australis, for the horticulturally inclined) have magnificent blooms this year, as you can see from this photo of a couple of mature specimens. What I enjoy about walking early in the morning is that you can smell the scent of the flowers as it wafts on the breeze, while later on, it gets lost in the heat of the day.